This hopper feeds the kiln. Olive pits are burned to fire his kiln, which is as big as a room. 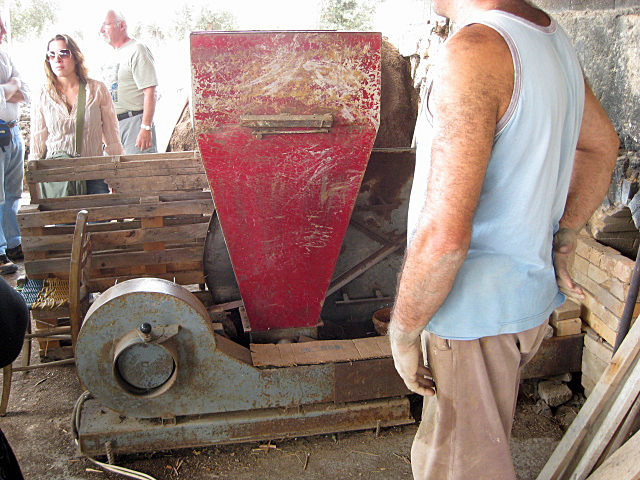 The big pile of olive pits is just visible in the background behind the hopper.